Treadmill Ratings Reviews / Blog / Blog / Can You Really Get Arthritis From Running? Can You Really Get Arthritis From Running? “How can you run that much? It’s just going to ruin your knees! !” The idea that running will ruin your joints and make you a cripple in old age is far from uncommon. Many people believe that it is inevitable that you will develop arthritis from running over the years. We are here to dispel this myth once and for all! Running has many great benefits to physical and mental health as you age. If done properly, it can be the ticket to slower aging, healthy joints, and a rich life of enjoyable running experiences. To get the full picture of what it means to be a ‘lifelong runner’, we spoke with Ronald Bowman of Annapolis, Md. Ron is a veteran of the Navy, marathon runner, ultra-marathon runner, triathlon participant, and a dedicated running coach. Running has always been one his greatest loves from the time he spent chasing jackrabbits as a youth near a Navajo Reservation in Farmington, NM. 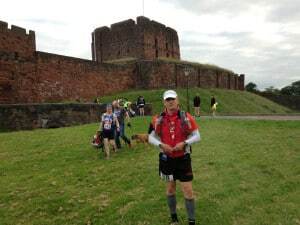 Ron Bowman at the WALL RUN – 70 mile run across Great Britain at Hadrian’s Wall. Since he ran his very first marathon in 1982, he has run in 114 more marathons, 112 ultra-marathons (including six 100 mile runs), and 127 triathlons including the 1998 IronMan Championship in Hawaii. He is still an active member of several running clubs, a race organizer, a training coach, and an inspiration to those around him. Ron is 65 years old and going strong. Running can prevent certain disease like stroke, heart disease, and diabetes. Since running burns a lot of calories, it contributes to weight loss that helps lower blood pressure, blood cholesterol, and blood sugar. A 2012 study by the American College of Sports Medicine concluded that people who ran 20 miles a week had a 19 percent decrease in the risk of death. A 1998 study by researchers at the University of California in San Francisco looked at 55 subjects ages 51-68 over the course of nine years. 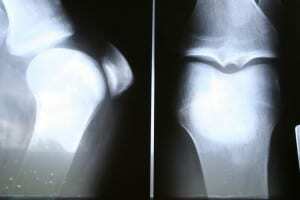 During this time period, the occurrence of osteoarthritis rose in both the runners and control group non-runners, however there was no significant difference between the two groups. The next study by Roger Sohn and Micheli Lyle followed a larger group of 504 former college runners and 287 former college swimmers. Again, the occurrence of severe joint pain due to osteoarthritis rose in both groups with no significant difference for the runners. A study performed by Stanford University tracked nearly 1,000 runners and nonrunners for a period of 21 years. After years of tracking, the article was published in the Archives of Internal Medicine in 2008 and found that runner’s knees were no less or more healthy than non-runners’ knees. The study also found that runners experienced less physical disabilities and had a 39% lower mortality rate. Finally, in 2007, a group of Australian researchers reported in the journal Arthritis and Rheumatism that people who exercise vigorously had thicker and healthier knee cartilage than those who are sedentary. This suggests that they actually enjoy a lower risk of osteoarthritis, which is caused by the breakdown of joint cartilage. If you can’t make it to the trail head regularly, consider the cushioning available on home treadmills. Technology has provided many of these machines with extremely comfortable running surfaces that are easier on your body. When Ron runs on a treadmill, he looks for one that is sturdy and has minimal arm rest bars so that he can have full range of motion in his arms. He uses treadmills as active rest or recovery and also for speed intervals. Ron Bowman his far from the end of his running career. He will continue to put in the miles as a runner, coach, and race organizer. Quite simply, this is the sport that he loves and he would rather be with his co runners on a beautiful day than anywhere else. With the fear of osteoarthritis dispelled, it is time for you to lace up your running shoes and run towards greater health! Are you a longtime runner? How has it effected your body? What do you say to the people who still insist running is bad for your joints?